Prompt delivery and convenient pick-up of QuikRete Blacktop Repair and Asphalt Patch – 1701-52 in Rochester NY, Ithaca NY and Western New York from +DukeCompany. 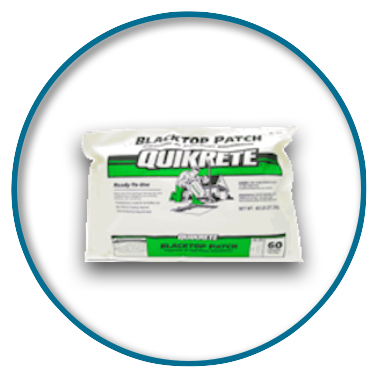 If you are looking for a quick, easy and efficient cold patch solution, QuikRete’s Blacktop Repair and Asphalt patch is an ideal solution to consider. The Duke Company carries convenient 50 pound bags, as well as pallets of 63 bags each. This excellent cold patch solution, quickly fills in potholes, blacktop cracks and asphalt cracks so that you can keep traffic moving uninterrupted. Its advance formula consists of sand, asphalt and durable stone. Notably, for convenience, QuikRete’s pothole solution does not require heating or mixing. Your construction crew and road repair crew appreciate that they can quickly fix potholes immediately by opening the bag.